Rental electric scooters provided by companies like Bird and Lime are becoming a preferred method of commuting and they are transforming the way we travel, just as ride-sharing services like Uber and Lyft have done. During the report, a Dallas woman with two black eyes and multiple scrapes and bruises described her first experience using a scooter-sharing service, which ended in a crash and sent her to the emergency room after she hit a groove in the road. The report also showed video footage of a woman walking out of store and being knocked down by an electric scooter rider travelling at a high speed down the sidewalk. Unfortunately, such accidents are becoming increasingly common in Los Angeles. Many people in Beverly Hills and the surrounding areas are being harmed while using Bird and Lime, and others are being hurt by reckless drivers. 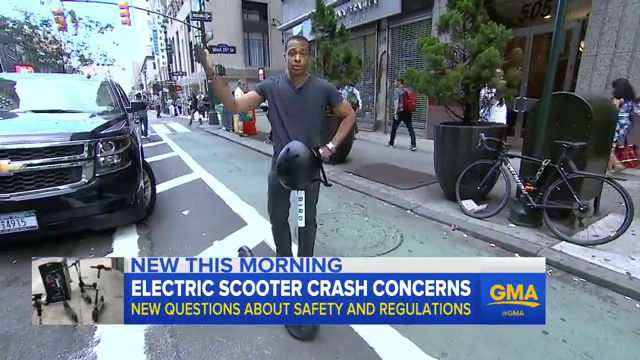 At Omega Law Group, PC, we represent people who have been harmed in electric scooter-related accidents by a third party. We are a group of highly skilled Los Angeles personal injury attorneys with the knowledge and experience necessary to help you resolve your case quickly and fairly. If you have been injured as a result of someone else’s negligence while on an electric scooter, connect with a member of our team as soon as possible to explore your legal options. Call (310) 504-1852 today to get started.